2018 will be an amazing year! OK. We know we may be jumping the gun here but bare with us. With so many good news, we are very happy. 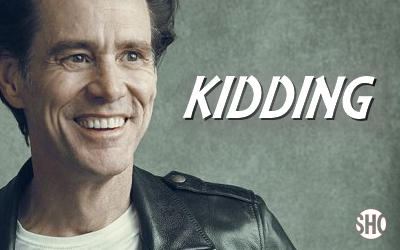 After more than 20 years without being in TV, Jim Carrey will be returning as the lead for a Showtime TV Series called "Kidding". It tell the story of "a beloved children's show host whose messages of kindness fostered hope in generations of kids and parents. But when the beloved "Mr. Pickles" starts to have his own crisis of hope, starting with conflict between his wife and kids, his life starts to unravel faster than he can handle. " The show will start its production in February of 2018 in Los Angeles, now that it has been green lighted. We are so happy to see Jim back on TV again and especial in a comedy/drama series.